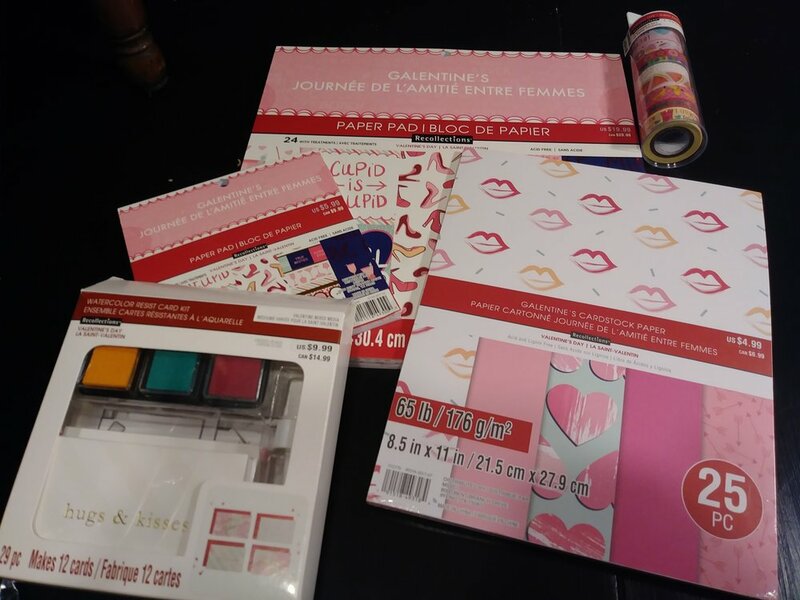 This weekend would be the perfect time to get your last bit of Valentine's day items from Michael's; everything is marked down by 70%. Look at these Items that I got when I went. Everything you see for here I got for under the normal price of the paper pad. I like shopping for the discount holiday items after their holiday but it's a gamble. They had a stamp and die set that I missed out on becuase I waited too late.